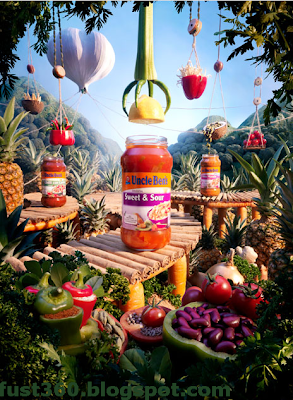 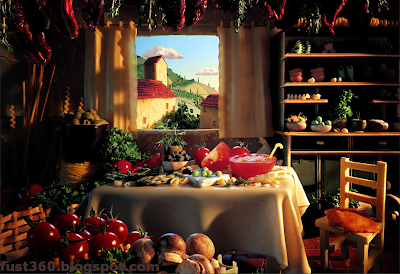 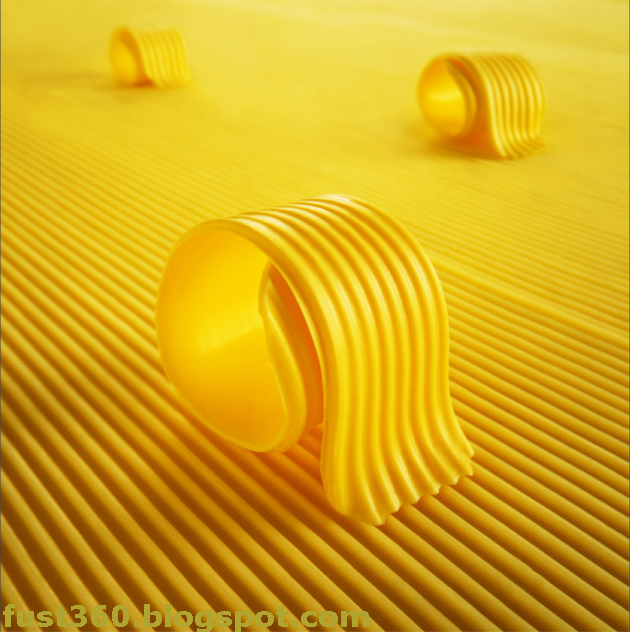 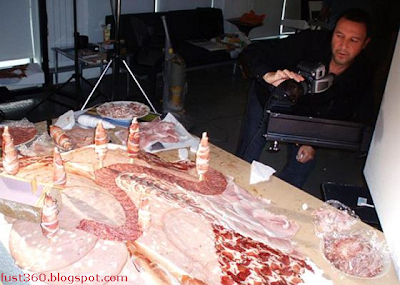 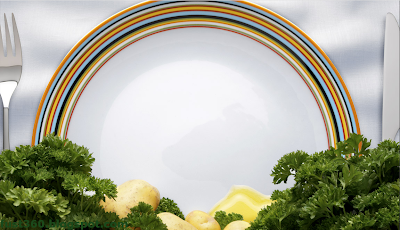 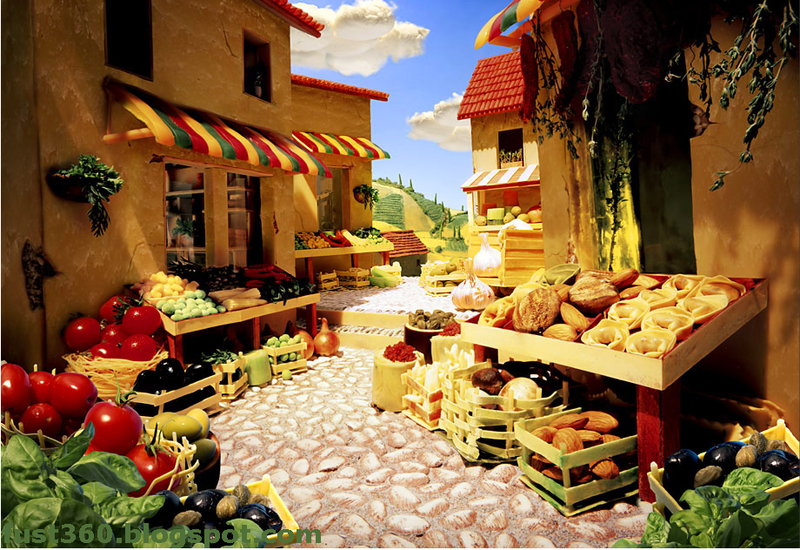 FuSt 360: Artistic Meal indeed! 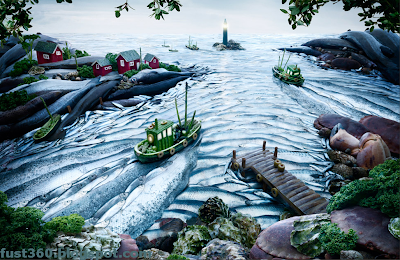 At first glance, these images look like painted landscapes. Look closely! 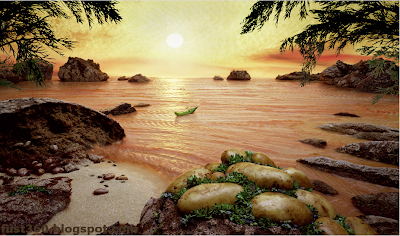 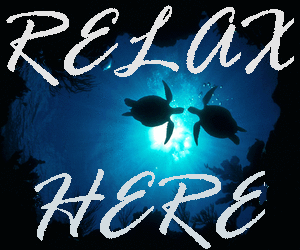 You will see that the sea and storm were made of cabbage, in other photos trees are broccoli and the hills are baked potatoes. 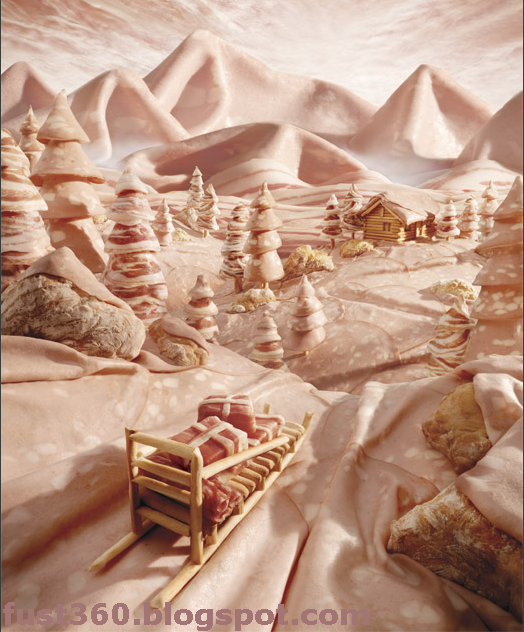 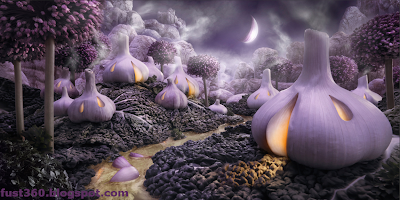 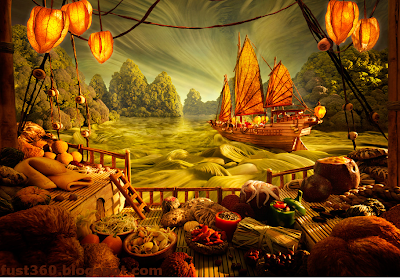 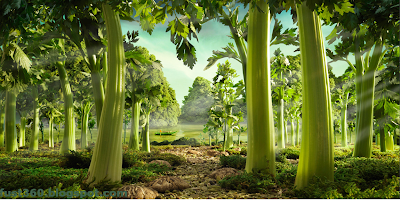 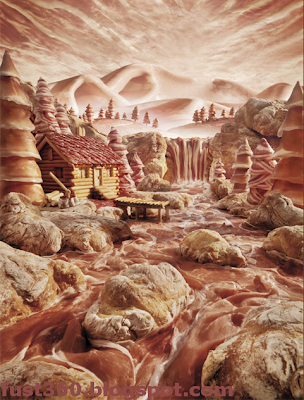 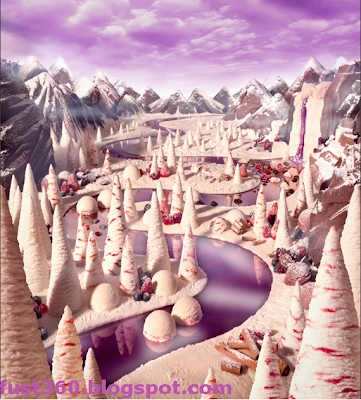 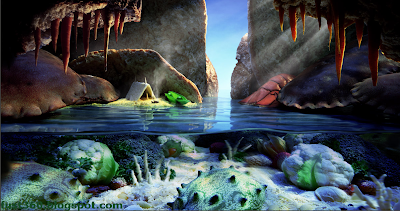 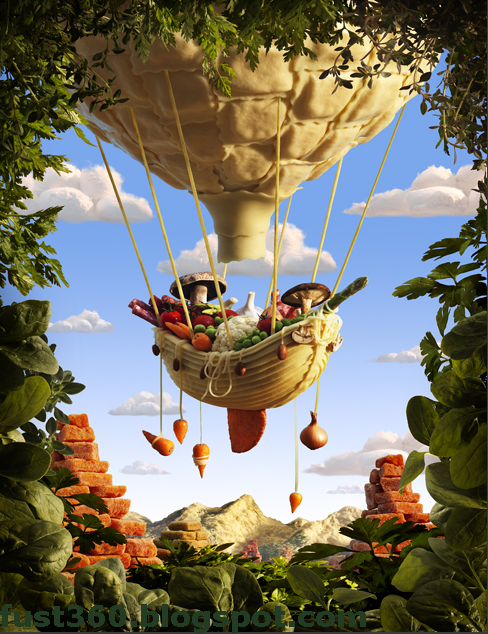 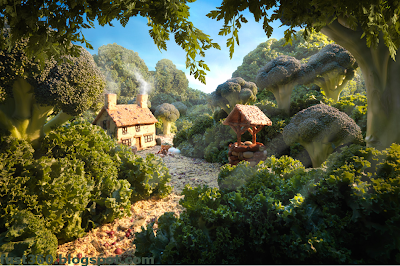 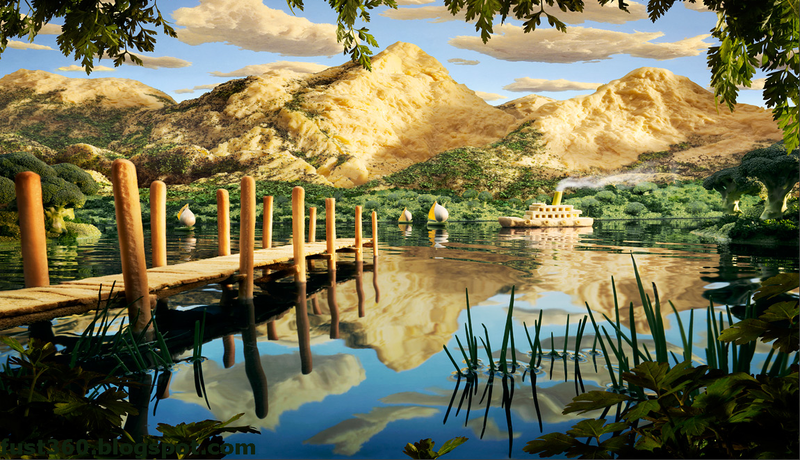 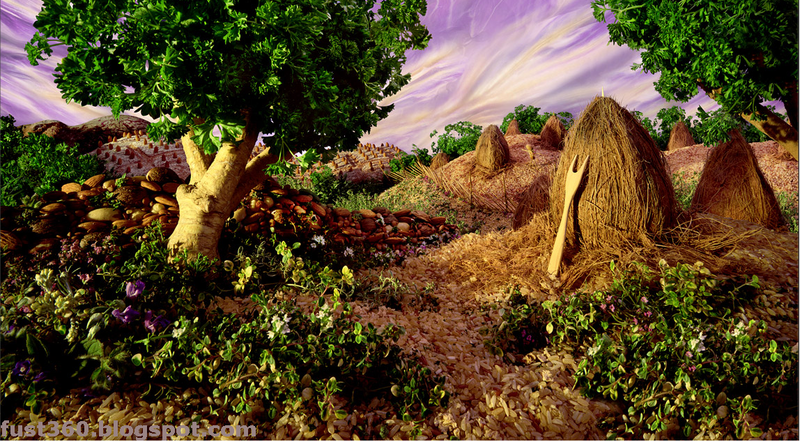 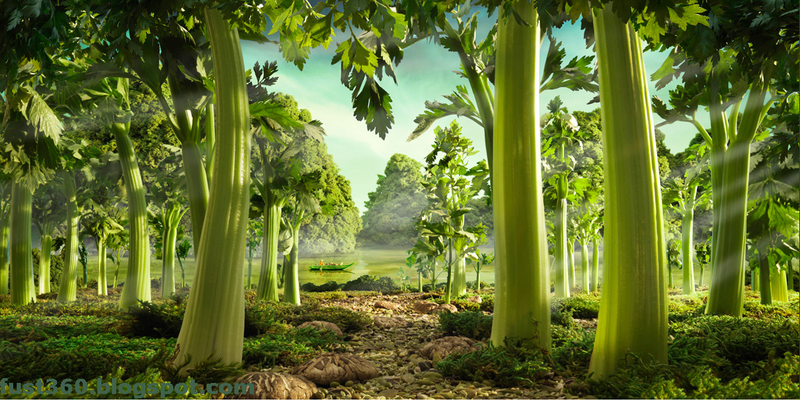 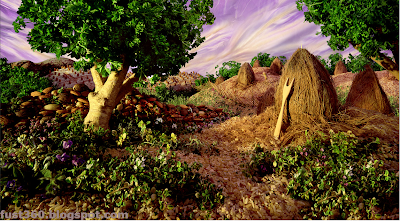 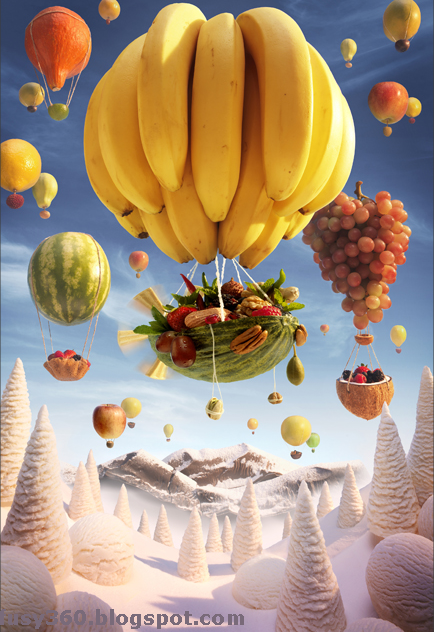 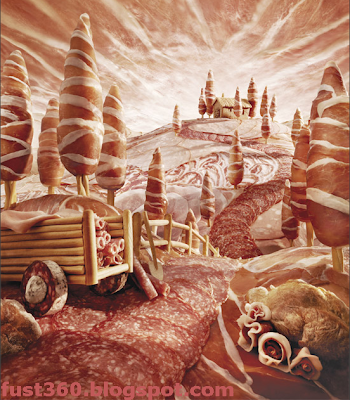 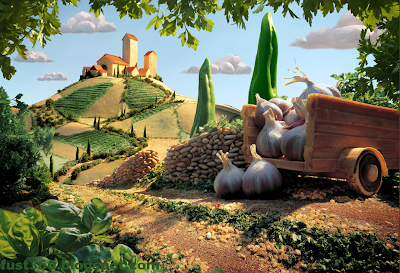 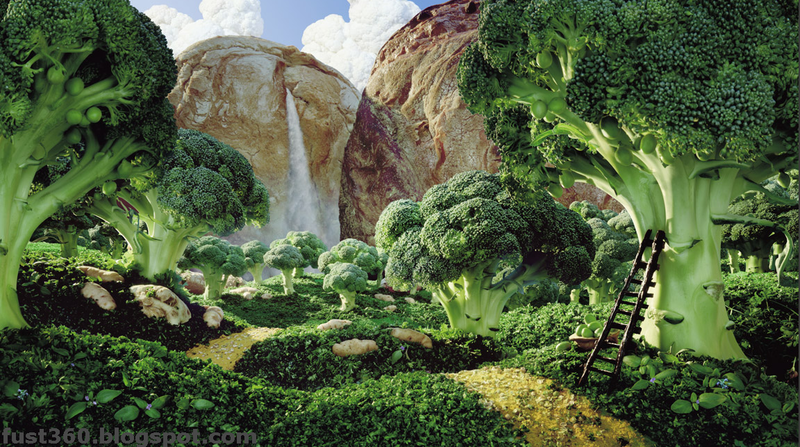 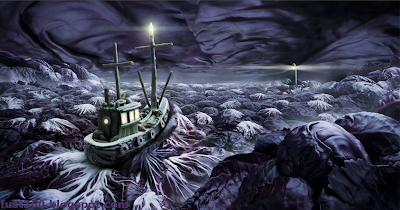 Artist Carl Warner, 44, combines several images to create the amazing scenes, including a broccoli forest, bread mountains, cheese village and smoked salmon sea. The dad-of-four plans to turn the photos into a book to encourage kids to eat more healthily. But he admits his own children still have trouble eating their greens. 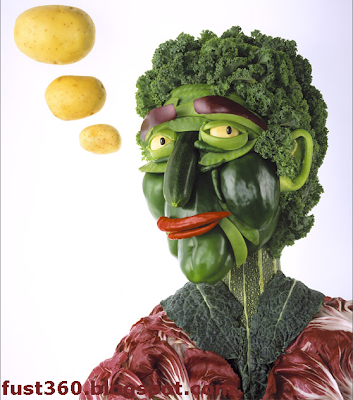 Carl, of Tonbridge, Kent, said: ?But at least they don?t play with their food as much as I do.? click picture to see it in original size !